Arctic leaders and Prince Albert of Monaco have called for better connectivity in areas in and around the Arctic Circle, claiming this will improve quality of life and economic opportunities, while also allowing the region to meet challenges such as climate change. 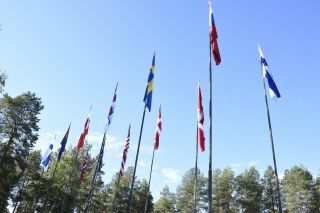 The call forms part of the declaration of the second ever UArctic Conference in Oulu, Finland, organised by the University of the Arctic – a consortium of more than 200 separate member institutions. The conference seeks to encourage collaboration around a series of common goals, such as education, gender equality, and the arts, as well as on environmental issues. Better connectivity will not only allow the scientific community to be more productive and collaborative, but also encourage the better sharing of data. Although Finland, Sweden and Norway enjoy relatively good fixed and mobile coverage in their northern extremities, the same cannot be said for other parts of the region, claimed the leader of the UArctic Council. Monaco’s monarch has taken a keen interest in climate change and has made significant donations to projects in the region through his charitable foundation. Aside from information sharing, it is thought that 5G networks and the Internet of Things (IoT) can play significant roles in collecting this data. The first UArctic conference took place in St Petersburg two years ago and the second edition is being held in Finland to coincide with the country’s Arctic Council Presidency. Oulu, located 500 kilometres north of the capital Helsinki, is considered an academic and technology hub that is home to research facilities for several of the world’s biggest players in mobile technology, including Nokia, ARM and Sony.